Are you an avid hiker or mountain biker looking for the ultimate rush of endless trails on your holiday? A place with breathtaking scenic backdrops of rolling green mountains, towering volcanoes, desert plateaus and jagged coastlines? Tenerife has become known for being one of the most diverse and rewarding hiking spots in the world. 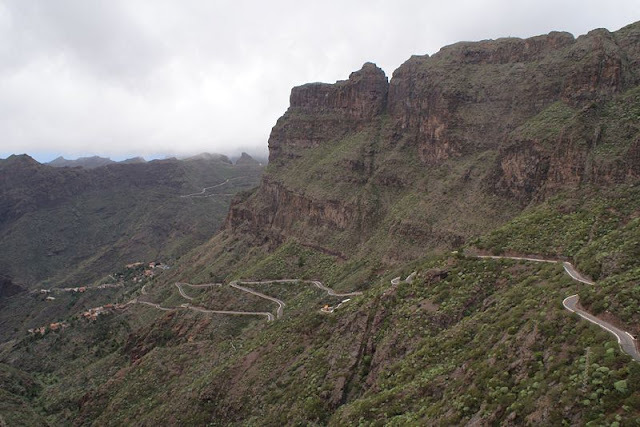 It is the largest of all the Canary Islands and the most populated island of Spain. Tenerife receives the most tourists at just over 5 million tourists annually, many of them nature lovers and thrill seekers. Tenerife's spectacular hiking routes have been made iconic by many informative books that map out the best trails and the lesser-known climbs; offering tips, tales, and ridiculously stunning photos that make you want to book the next flight. Check out the guidebook Walk! Tenerife or TenerifeHiking.com, or watch the short video below to get a sense of some of the amazing mountain biking options. The area is so popular for hiking and mountain biking, several tour companies have sprung up to take you on guided tours of some of the most exhilarating treks. They offer skills courses and cater to people of all levels from beginners to experts. Besides its unmatched natural beauty to enjoy adventure sports, Tenerife offers relaxing beaches, many cultural festivals and carnivals, exquisite architecture, holiday attractions like world-class amusement parks and great restaurants. If you enjoy great food and wine, you could laze the days away on the shores and enjoy choosing from a variety of cheeses, wines, or popular local dishes such as Mojos or Gofio. Tenerife also has some intriguing historical sites, most notable is a stone pyramid complex that looks like it should be part of the Mayan ruins. Although mystery still remains about who built these pyramids, archaeologists know that the natives to the island used the caves beneath them around 1000 and 100 BC. So, if you're looking for an adventure of a lifetime and some quality rest and relaxation during your holiday, you won't find a better place than Tenerife. There are 2 airports in Tenerife; the North airport and South airport. The South airport, or Reina Sophia airport, is the busiest and handles the majority of international flights. If you search for cheap flights to Tenerife you will be surprised by the amount of options. There is also the option of taking a ferry to Los Cristianos or Santa Cruz, but this is obviously the most time intensive route. Once on the island, you will discover a modern network of roadways as well as a a great public transportation system by way of clean, air conditioned buses and trams to take you to all of the best destinations for trekking. Renting a car is another option and will give you the most flexibility to explore the whole island. It's best to check with them first to see if they have bike racks though.